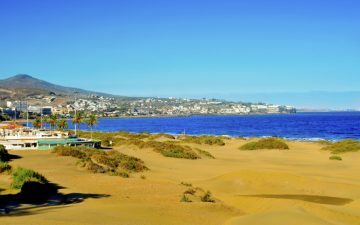 Gran Canaria is a very popular and well loved holiday destination for travellers of most ages. Primarily famous for its reliably warm weather all year round, the island offers a wealth of activities and experiences to choose from. An easy and enjoyable way to see more of the island, its people and its culture is to take a trip to one of the many street markets. Almost every city has its own market; many of them are held on Sundays, but there are also other markets somewhere on the island most days of the week. 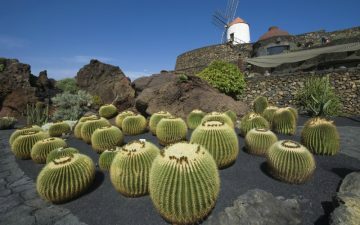 Many of the markets in popular resorts such as Puerto de Mogan, Maspalomas and Arguineguin exhibit stalls selling bric-a-brac and gifts; popular souvenirs include local handicrafts like baskets made out of banana leaves, pottery, embroidery, felt hats and miniature versions of the famous Canarian wooden balconies. Don’t be afraid to haggle – the stall holders will expect it, as getting things more cheaply it is also part and parcel of the market experience. Many hotels will offer free buses to these markets, which usually run from 8am to 2pm, leaving the afternoon free to visit the beach, do some more shopping or have a wander around the town, relax and have a drink and a bite to eat. Central of the island you’ll find more traditional markets. These are the ones frequented by the locals with stalls offering local fruit, vegetables, meats, cheeses, cakes, pastries and confectionery. Some even offer livestock, adding a touch of local colour (and sounds and smells) to the market. The most popular of these is the Sunday market in Teror, attended by locals from all over the island. Spend an hour or two browsing the produce on offer and immerse yourself in a centuries old Spanish experience. If visiting the markets has given you a taste for more of the authentic culture, you could consider visiting during the island’s many festivals. Classical music enthusiasts come to Las Palmas in February for the Canary Islands Music Festival, based around the Alfredo Kraus Auditorium and organised by the Canary Islands Government. 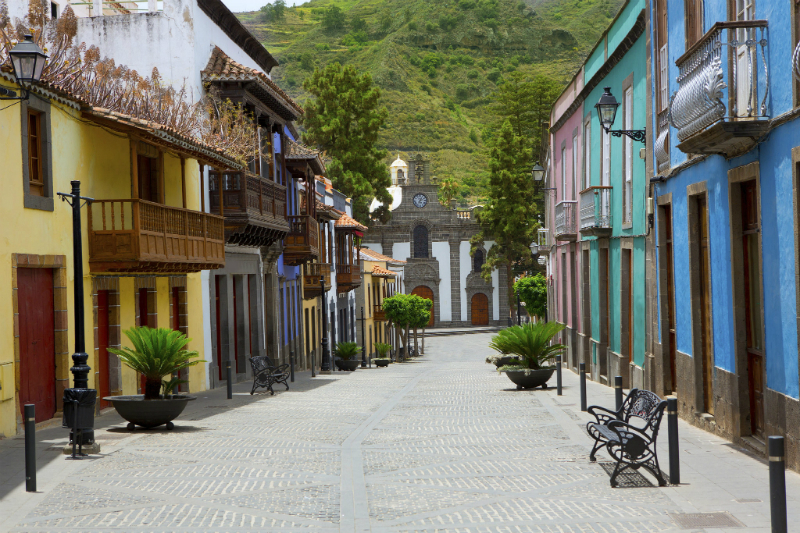 Throughout the month Las Palmas is resplendent with vibrant colour and tempting rhythms most places you walk. A Gran Cabalgata parade and the crowning of a Festival queen are both highlights witnessed by huge crowds of people spending their evenings visiting the outdoor stalls and bars and drinking in the festival atmosphere. But it’s not just music; the capital also hosts an International Cinema Festival, featuring independent films and frequented by film directors, actors, scriptwriters, producers and distributors. 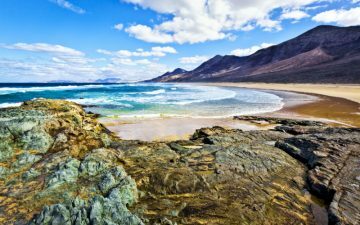 An Opera Festival paying tribute to the internationally famous Canaries tenor Alfredo Kraus, born in Las Palmas in 1927 is also held annually. The programme includes premiers of new operas, along with other high quality pieces all performed by top-level soloists and musicians. 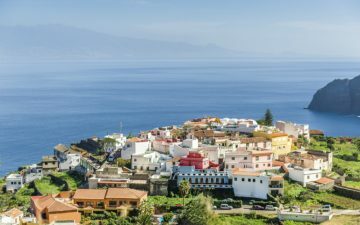 San Juan Fiesta in June celebrates the founding of Las Palmas, with events covering the arts, music concerts and a programme of children’s activities. Traditionally, bonfires are lit on the eve of San Juan in different parts of the city and the festival itself starts with thousands of people swimming at the Las Canteras beach – why not join them for an early morning dip? If you visit in July or August you will be able to revel in the Dance and Theatre Festival, featuring theatre and dance companies from across the world often showcasing new works. The festival is held across a range of venues around the city, including La Puntilla Square, Plaza Santa Ana Square, the Las Canteras promenade and Juan Pablo II Park. As you would expect in a Catholic country, religious festivals such as Easter are enthusiastically observed, and in the district of La Isleta there is also a feast day held in honour of Nuestra Señora de Carmen (Our Lady of Carmen) in July that boasts a sea procession of a statue of the Virgin Mary.